I recently had the opportunity to visit the beautiful town of Banff. Nestled in Alberta’s Rockies along the Trans-Canada Highway, Banff is one of Canada’s most visited destinations. 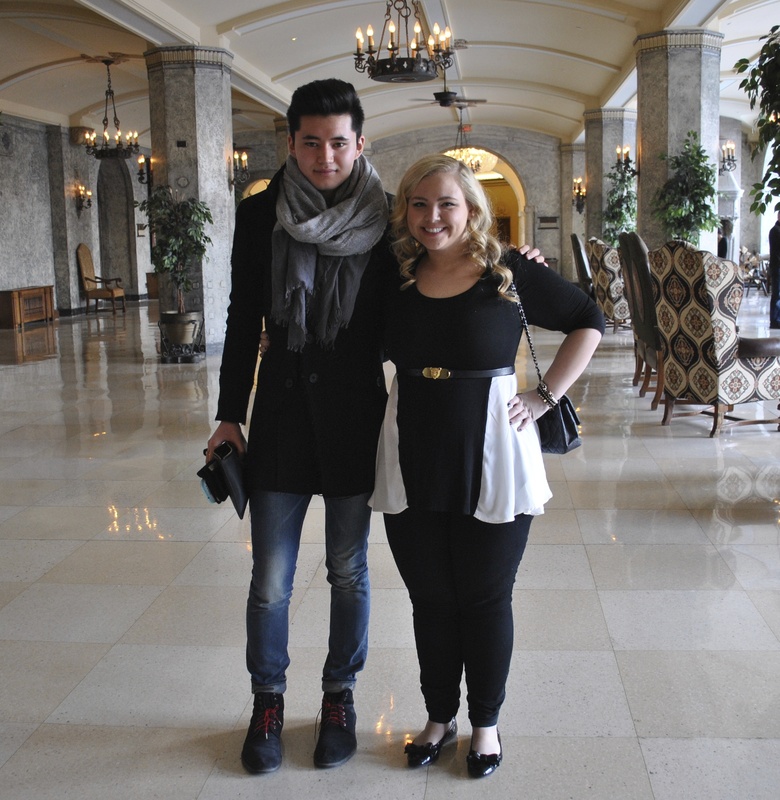 I stayed at the famed The Fairmont Banff Springs. It stands as a landmark in the picturesque alpine town, known as Canada’s “Castle in the Rockies.” It has been providing guests with legendary hospitality for more than 125 years. As soon as I booked my room, I emailed dining reservations for Afternoon Tea at the Rundle Lounge. It had come highly recommended and I’ve always appreciated a good tea. 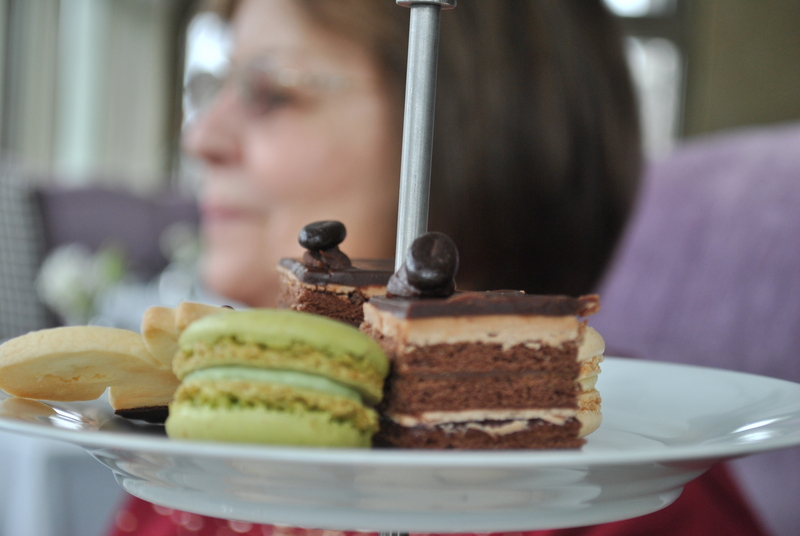 I strolled down to the lounge, with breathtaking views of Mount Rundle, with my grandmother and two friends. 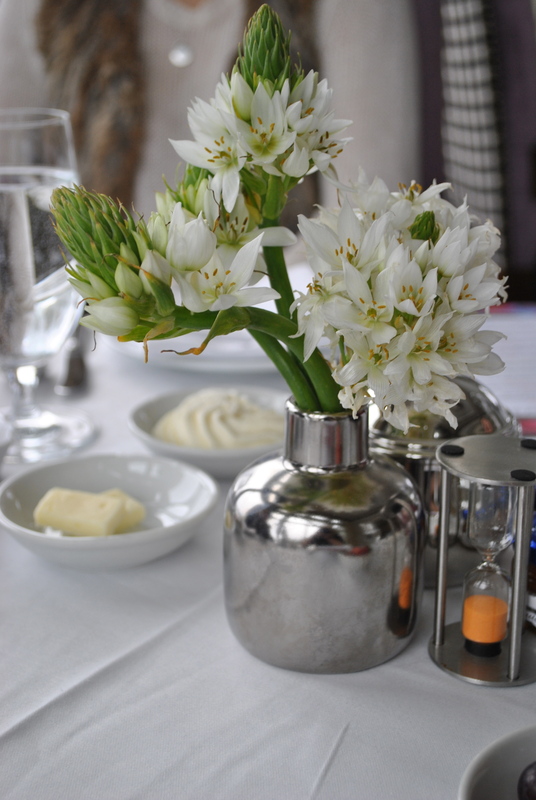 Our table for four was ready promptly at 1 p.m. and we were greeted by our friendly server. 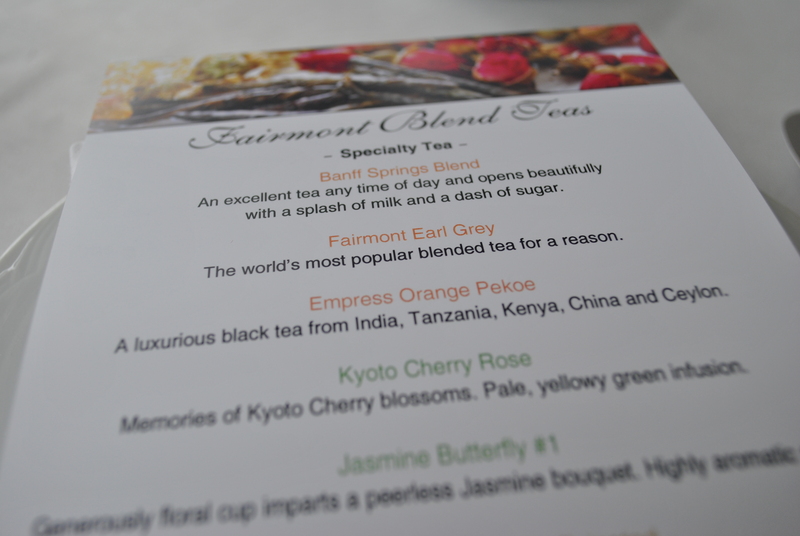 The menu featured 12 speciality teas, with an additional 4 seasonal options. We all ordered different selections so that we would have a chance to try more tea. 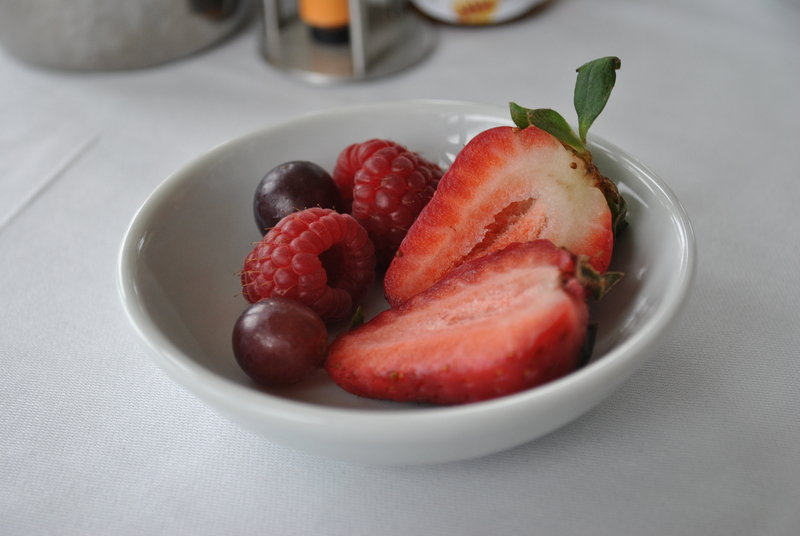 First, they bring out fresh berries to cleanse your palate. 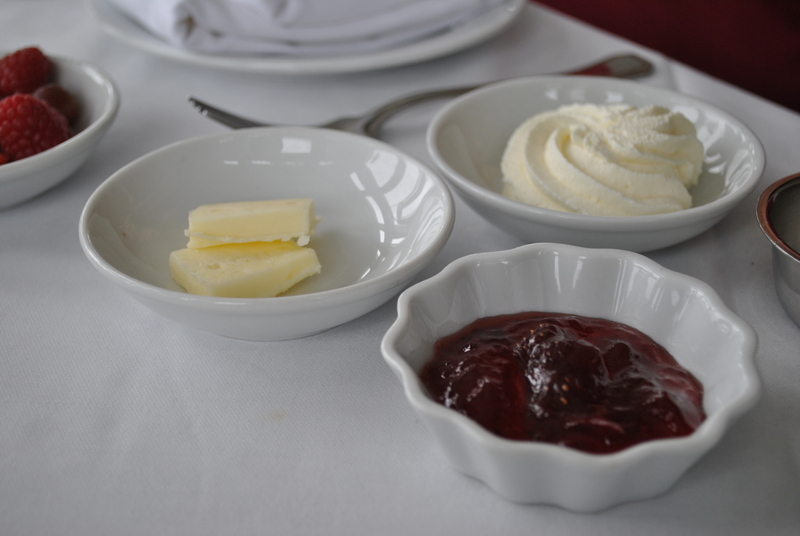 Then comes the Victorian scones with butter, Devonshire cream and strawberry jam. 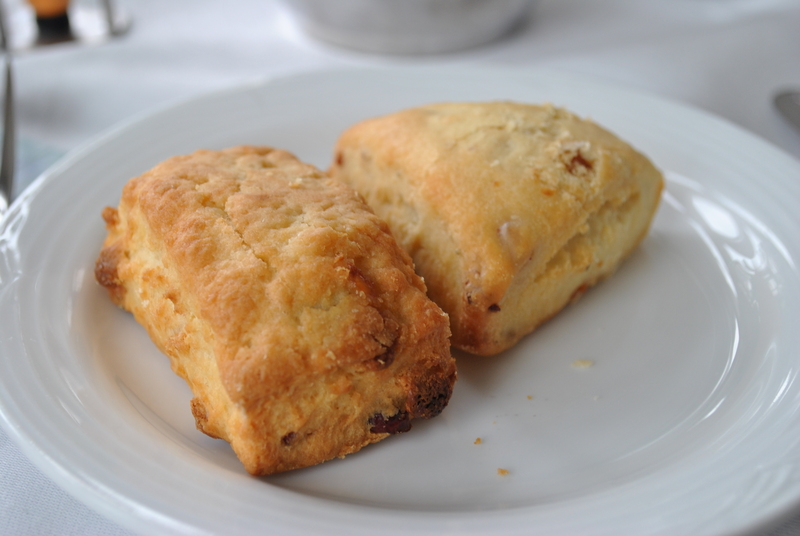 One of the scones had bits of bacon and with cream was a savoury delight. 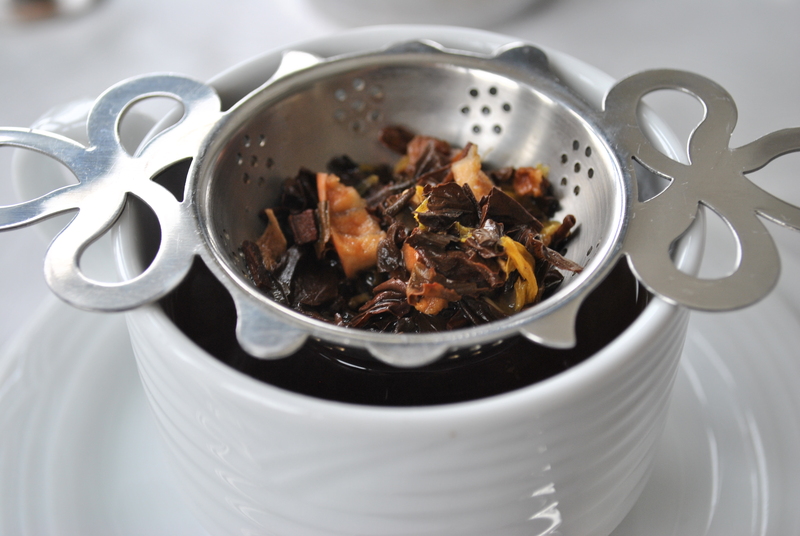 My first pot of tea was the Montebello Apple Spice. It was the perfect warm blend of rustic heirloom apple pie in herbal form. 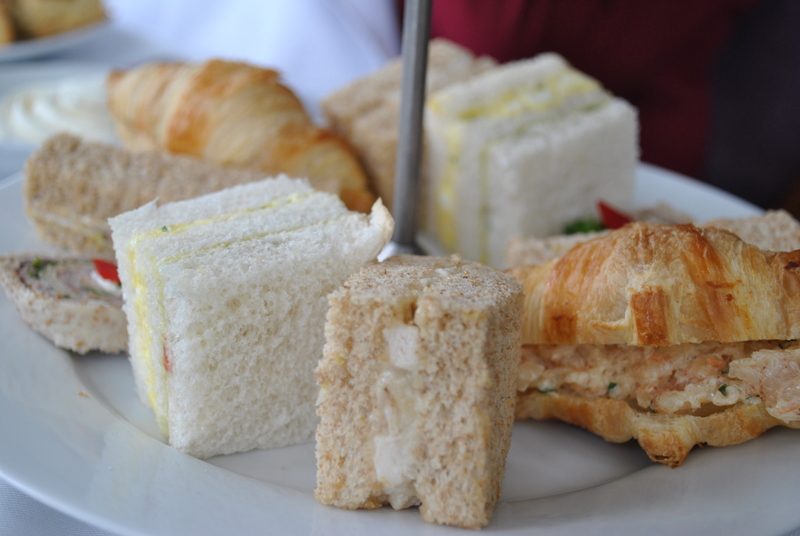 Then came the finger sandwiches and assorted pastries. I myself cannot eat pastries, but my guests were delighted with the pistachio macaroons, chocolate raspberry cake, eclairs, lemon meringue, Saskatoon berry tart and more. I helped myself to the sandwiches. The shrimp salad on a flaky croissant was just divine. The egg salad and cucumber with avocado cream cheese were also fabulous. I enjoyed the chicken salad, but wasn’t a fan of the beef wrap. That’s just me though. We couldn’t help ourselves, we all ordered a second pot of tea. This time I went for the Berry Berry. 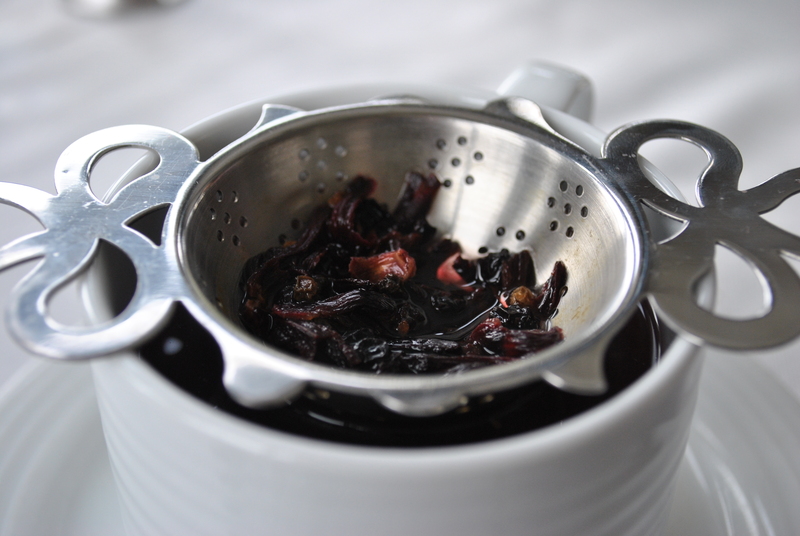 It consists of brambleberry, elderberry, red currants, rosehip and hibiscus. Honestly, it was the best tea that has ever graced my mouth. It was so incredible that I had to purchase it in one of The Fairmont gift shops. The berry flavours were so strong, yet relaxing. My guests and I had such a lovely time that we spent three hours in the Rundle Lounge! It was the perfect setting to talk about our futures in public relations, fashion wants and ensuing travel plans. The atmosphere was quiet and relaxed without being stuffy. I will certainly be back – to Banff, to The Fairmont Banff Springs and to Afternoon Tea. 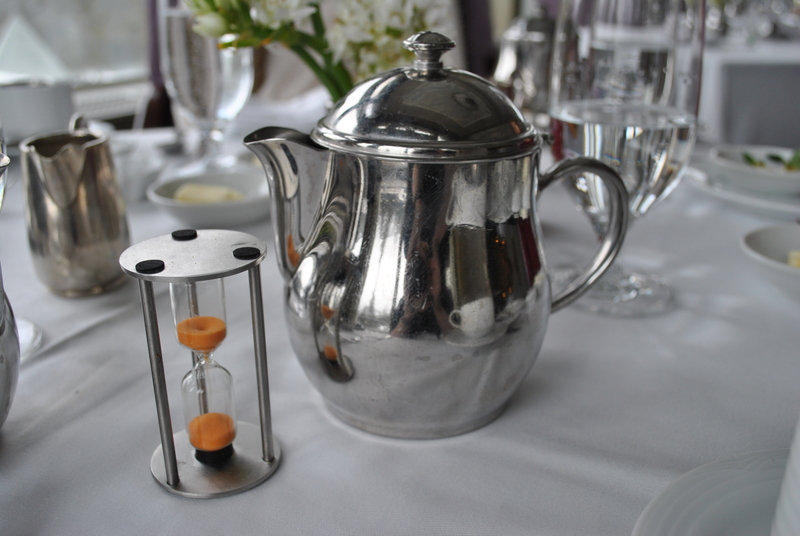 The Afternoon Tea service at Rundle Lounge is $41 per person. You can also upgrade to include champagne, prosecco or even a matcha matini! All upgrades include a Fairmont Banff Springs Gift Tea Box. If you’re going to Banff, head to The Fairmont Banff Springs for the perfect accommodations and I highly recommend trying out the Afternoon Tea Service! 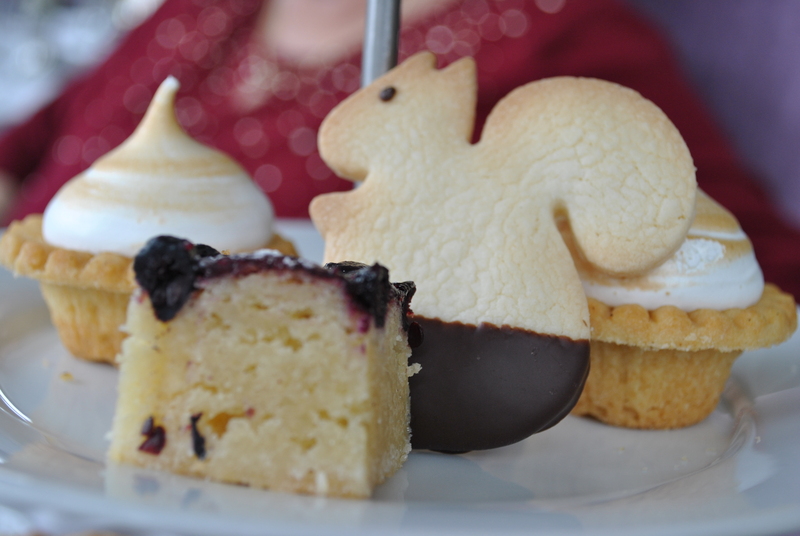 Where’s your favourite place to catch high tea? Tags: banff high tea, banff reviews, berry berry tea, best high tea in canada, fairmont afternoon tea, fairmont banff springs, fairmont banff springs afternoon tea, fairmont banff springs afternoon tea review, fairmont banff springs review, fairmont blend teas, fairmont high tea, fairmont tea, high tea, hotel high tea, pastries, scones, tea, the fairmont. Bookmark the permalink. Great post Hilary! I want to go for high tea at the Shangri-La in Toronto! I hear it’s quite the experience. We must try it soon! 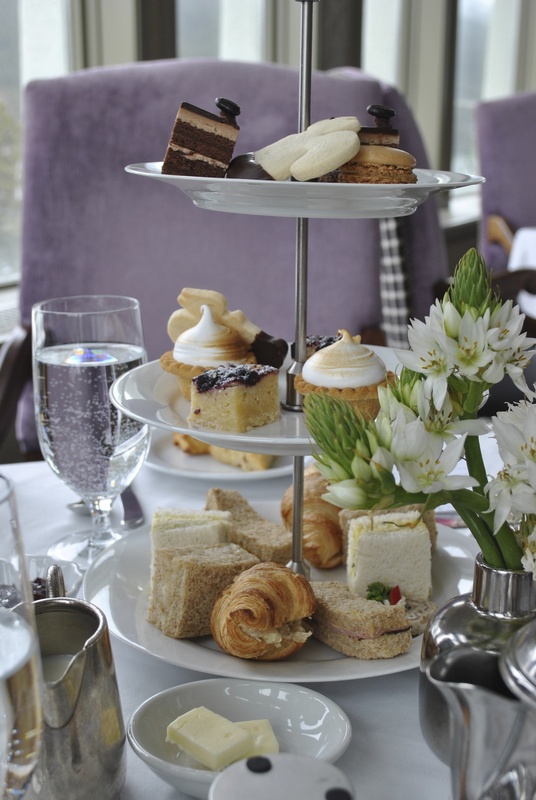 Would die to try high tea at the Banff Springs. The King Edward Hotel in Toronto on King has a really nice high tea. I’ll have to give it a shot, thank you!